How to make your winter more interesting, help birds, and give a second purpose to your holiday tree! Many people have mixed feelings about taking down the Christmas tree each year: Glad to have it out of the house when it starts to drop needles, relieved that the county or city tree pick-up program makes for easy disposal, but sorry that the short-lived but valued purpose is gone. You may want to wait before tossing it to the curb. One way to prolong the useful life of an already cut Christmas tree is to repurpose it as a natural bird feeding station in your garden, or perhaps a bird-friendly neighbor’s garden if you don’t have one of your own. And if you do not have your own holiday tree, you can give and receive the same benefits by “borrowing” a neighbor’s tree after it has been put on the curb for the tree collection truck. A winter-feeding station makes very good use of your tree, and can be done easily by placing a small or medium sized feeder in the top branches of your tree. Spillage trickles down and gets trapped in the branches, with some reaching the ground below the tree. This distributes the seeds for different sizes of birds, with different browsing styles, including typical ground feeders. And, it also provides shelter, or at least sheltered feeding, with snow, sleet, and cold winter winds. Carolina wren (Thryothorus ludovicianus). Photo courtesy of David Howell. Carolina chickadee (Poecile carolinensis). Photo courtesy of David Howell. Northern cardinal (male) (Cardinalis cardinalis). Photo courtesy of David Howell. Winter temperatures will keep your tree green and it will perform its function for your backyard bird population through the season. Generally, it has done its job by mid-March and you can decide when to put it out for green-cycle pickup as spring approaches. Add Native Plants to Your Fall Garden and enjoy them again next Spring and Summer! Fall is the BEST time to install native plants. The cooler air temperatures are less stressful to stems and foliage, and the still-warm soil gives roots a great head start to become established before winter. So, consider choosing a few—or several native plants to brighten your yard, patio, or deck! White wood aster (Eurybia divaricata), is a spreading perennial that bloom in early-mid fall, thrive in light to heavy shade, can handle dry conditions, and attract butterflies. How to Choose the Right Natives for Your Yard or Pots? It’s important to install the right plants for your conditions (wet, dry, shade, sun, slope, bog, soil type, etc.). How do you know what’s right for you? One of the best sources is the Plant Nova Natives website: http://www.plantnovanatives.org/, with easy-to-follow tips, lots of photos, and additional links to learn what will work for your situation. American beautyberry (Callicarpa americana) is a shrub that can grow 3-5 ft. tall and wide. It prefers sun to light shade and moist conditions, produces purple berries in mid-fall, and attracts birds and butterflies. Where Can You Buy Natives? Most commercial nurseries do not carry a lot of native plants. If you have a favorite place that has a weak selection, tell them that you’d love if they could stock more. But there are many nurseries that bring plants to us—at local native plant sales. Below is a list of fall native plant sales nearby, with many providing food and entertainment. Happy shopping and planting! New England aster (Symphyotrichum novae-angliae) is a spreading perennial that can grow 3- 6 ft, and bloom in early-late fall. It prefers part shade and moist conditions and attracts bees and butterflies. Weekly plant sale on the first Wednesday of each month through October at the propagation beds behind the main building at Green Springs Garden. Order information HERE, and click “Shop” button located at the top of the page and select Fall 2018 Plant Sale. 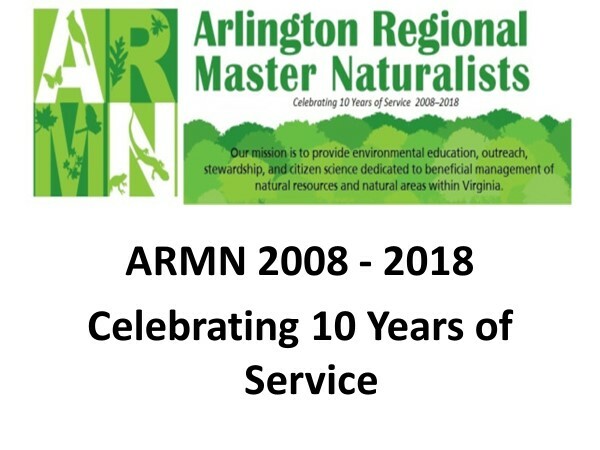 If you have ever thought you might want to get involved in the conservation and stewardship of our local natural resources, then the Arlington Regional Master Naturalist (ARMN) program is for you! ARMN conducts a 3 ½ month basic training course for new volunteers in ecology, botany, herpetology, ornithology, forest and aquatic ecosystems and more—and the next session is coming up soon! Susan Berry. Photo courtesy Pablo Nuesch. Current ARMN members were recently asked if they’d like to serve as mentors for new ARMN trainees and graduates. From my perspective, this is an activity that has primarily benefitted me, and not just my mentees, though I certainly hope they liked the idea too. I was in the Spring 2012 ARMN class, which has the distinction of always having the lowest turnout at any ARMN holiday party or chapter meeting. We had lots of folks in the class who were already planning to move out of the area at the time of graduation. Others seemed to follow shortly thereafter. So, the opportunity to make a connection with someone from another class really intrigued me, and I signed up to be a mentor. Then, I was fortunate to be matched up first with Colt Gregory, and later with Todd Minners. Colt is (among other things) an expert on birds, while I know little about them. Therefore, I was thrilled to use mentoring time to have Colt train me. He was kind enough to take me to Huntley Meadows Park in Alexandria for a personal lesson on how to use binoculars and how to look and listen for those delicate creatures that I have always found elusive. His knowledge and ability to communicate were evident on our outing. I also really enjoyed attending his graduation at the end of the ARMN basic training program, and later hearing his first ARMN presentation to the public on “Beginning Birding by Ear” at the Arlington Central Library. Coincidentally, my second mentee, Todd, and I signed up for the same volunteer event the week we were matched up as mentor and mentee. Once again, I knew I was the beneficiary. We had the good fortune to help Bobbi Farley, a naturalist at the Long Branch Nature Center, during the “Arlington Palooza” event where we spent several hours with kids of all ages petting the Long Branch animal pelts and marveling over the skulls of some of our local animals. Todd has lived around the world and was great at connecting with the diverse crowd, even in multiple languages. I usually consider myself to be outgoing, but Todd outdid me. Recently, it occurred to me that Todd and Colt would have some ideas for engaging children at ARMN’s outreach events. Sometimes when ARMN has an information table at events attended by children, we find that if we can engage the children, we can usually also involve the adults, too. Todd and Colt are more comfortable than I am at engaging kids in activities. The three of us met at Long Branch and brainstormed on what would attract children to the ARMN display tables. We came up with several good ideas and I think that some of them will get us moving ahead in the future; a few might even make their way to this year’s Arlington County Fair! Second, let your mentee’s skills lead the way! And for those of you desiring to make a difference in your community, check out the ARMN website and apply for the next basic training course. Applications for the next basic training session are due Aug. 1 with classes beginning on September 4. You will find committed master naturalists and your very own mentor in the program! Photos courtesy of Yolanda Villacampa unless otherwise noted. ARMN’s Membership Committee occasionally posts profiles of our members, including how they came to be master naturalists, which parts of nature they most enjoy, and how they affect their environment. This latest biography features ARMN Member Yolanda Villacampa, who graduated from our training class in Spring 2011. She’s made quite a contribution to science as a naturalist. Read the blog through to the “something unusual about yourself” section to see for yourself. If you know someone in ARMN with an interesting story to tell and think others might be interested, please contact Bill Browning (browningwh@gmail.com) or Alison Sheahan (ab.sheahan@verizon.net). Yolanda at Glencarlyn Park next to the George Washington Survey Marker Monument. Photo courtesy of Silvia Villacampa (2014). During my ARMN training class (Spring 2011), we had the opportunity to think about the type of volunteer projects we could choose from. Volunteering in Arlington County streams was a natural choice for me. Four Mile Run is practically right behind the house where I grew up in Arlington, VA. As a child, I had always enjoyed being near this stream, which is accessible via the backyard. I took walks with my mother and sister along the banks and biked along it with my father. I enjoyed looking inside the water to see the fish, snails, and rocks. So, I became a macroinvertebrate stream monitor under a program coordinated by the County’s Office of Sustainability and Environmental Management. As a macroinvertebrate volunteer, I can continue to check out what’s in the water and know that I’m looking at a black fly larva, isopod, left-handed lunged snail, or planarian. Crayfish at Barcroft Park in Four Mile Run during macroinvertebrate sampling in 2015. I also have enjoyed documenting local wildlife by participating in wildlife mapping and citizen science projects. More recently, I have started using a newer way of observing wildlife with the iNaturalist app and have taken part in local bioblitzes. I can check out wildlife, photograph it, identify or find out what it is—whether it’s a dragonfly nymph or a great blue heron! Female Northern Mallard (Anas platyrhynchos) documented during a bioblitz at the National Park Service, George Washington Memorial Parkway, Dyke Marsh Wildlife Preserve in 2017. Other fun activities I’ve participated in include the cricket crawl in the summer, the frog/salamander patrol, bird outings, and outreach events. How did you learn about ARMN? I’m an Arlington County park naturalist on a part-time basis and heard about it at work. A fellow park naturalist at Long Branch Nature Center, Matt Neff, also an ARMN volunteer and animal keeper at the Smithsonian National Zoo, recommended ARMN. It sounded like a great way to keep learning about local nature! The variety of volunteer opportunities for a wide area of interests in nature with terrific people taking part in it. It’s great to be outdoors and share information too! Tell us something about your childhood/adulthood experiences that shaped your perspective on nature? I grew up with woods and Four Mile Run stream behind my childhood home. I was fascinated by the wildlife passing through my backyard—a variety of birds, box turtles, opossums, caterpillars, walking sticks, praying mantids, and even the colorful box elder bugs. Walks with my mom and sister near the stream towards Barcroft Park were a common ritual. Not too long after teaching us how to ride bikes, my dad would take my sister and me on biking excursions on the Four Mile Run and W&OD trails. A lot of my local vacations involved my father taking the family to state parks. We stayed in a cabin or went camping. I always remember the kind park ranger who that talked to me at Douthat State Park after a nature program. At Claremont Elementary, we had a rabbit in school that roamed the classroom which I thought was the neatest thing. Pet rabbits were my favorite pets growing up. When I was at Wakefield High School, I took an animal science class at the Career Center where I learned about and took care of classroom animals including snakes, a rabbit, ducks, and a chinchilla. I even had a summer job there taking care of the animals. As a kid I have fond memories of my parents taking my sister and me to the National Zoo and the bus ride with my mom to Washington, DC to visit the Natural History Museum. During high school and college, I had seasonal jobs such as being a veterinary assistant and an outdoor job working as an Arlington County Park Ranger on bike. I have a bachelor’s degree in Biology from George Mason University in Fairfax, VA. After getting my degree, I started working a few hours at the Arlington County Nature Centers…and still do! Upstream view of the macroinvertebrate sampling section of Four Mile Run at Barcroft Park in 2016. Macroinvertebrate volunteers submit photographs of the sampling site, a required protocol for stream monitoring. Currently in my full-time job as a Museum Specialist in Zoology, I work on invertebrates, such as mollusks, in the District of Columbia at the Smithsonian’s National Museum of Natural History—back to one of my childhood excursion locations! Heritage-wise, my father was born in Spain and my mother in Ecuador, so I grew up speaking both Spanish and English. Thanks to my father, I’ve traveled to both countries and have enjoyed the adventures of traveling to various places. I’ve been able to put my Spanish-speaking and writing skills to use, whether helping Spanish-speaking visiting scientists and translating text at the Museum or conducting bilingual nature programs in Arlington. I’m a District of Columbia/Arlington area native. At least it seems unusual to others when I mention it. As my mom likes to say, I was 18 months old when my family moved to Arlington from DC, where I was born. A snail is named after me. In my first Museum Technician job after college, I helped with a research project to describe western US spring snails. Pyrgulopsis villacampae in Little Warm Springs, Nye County, Nevada is named after me. (Based on article in Arlington County’s Environment webpage.) Photos courtesy of Bill Browning. On April 24, 2018, ARMN member, Joanne Hutton, was honored with a Bill Thomas Outstanding Park Service Volunteer Award for her volunteer work in Arlington last year. This award was established to pay tribute to lifelong parks volunteer Bill Thomas and to honor and encourage residents with passionate dedication and support for the county’s dynamic programs, natural resources, and public open spaces. Joanne Hutton is one of ARMN’s super stars, and Arlington County has recognized her value to the natural world with this very special annual award. Joanne is also a member of the Master Gardeners of Northern Virginia and became an ARMN member upon retiring from Arlington County’s Parks Division, where for five years she, trained VCE Master Gardeners and oversaw the county’s Community Garden program. Joanne with her 2017 Bill Thomas Award. Among her ARMN projects, Joanne worked with the Audubon Society of Northern Virginia to establish a native plant demonstration garden at Potomac Overlook Regional Park, and she continues to lead the ongoing maintenance of that garden. She helped form the Audubon at Home (AAH) Ambassadors program for Arlington and Alexandria. AAH volunteers visit individual homeowners to offer guidance on best environmental management practices and increased use of native plants to improve habitat in their yards. Joanne has also worked on the Steering Committee for the Plant NOVA Natives Campaign, helping edit its published guide, Native Plants for Northern Virginia, encouraging property owners to buy and plant locally native plants. She trained in Arlington’s first Tree Steward class and in 2010, assisted in surveying trees on Arlington’s 256-acre Joint Base Myer-Henderson Hall to help better manage its tree population. She also has been a community gardener at Arlington’s Barton Park Community Gardens since 1999, and served as Chief Gardener for three years, continuing on its steering committee. Her focus as a Master Gardener remains public and continuing education. 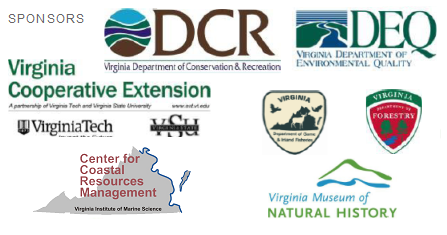 Joanne actively participates in citizen science projects, including Christmas bird counts, monitoring bluebird nest boxes at Fort C. F. Smith Park, and assisting the Virginia Breeding Bird Atlas to determine distribution and status of breeding bird populations. She participated in Arlington’s first BioBlitz in 2017, a 24-hour citizen science inventory of plants and wildlife. All 2017 Bill Thomas Award winners with the Arlington County Board. Joanne serves a multigenerational cohort to ensure that Arlington residents have the skills and information they need to be good stewards to the environment. Her service has inspired and encouraged others to join the local community of active volunteers. The natural world in Arlington has a true ally in Joanne; the benefits of her volunteer work can be seen throughout the County. ARMN’s Membership Committee posts occasional profiles of our members, including how they came to be master naturalists, which parts of nature they most enjoy, and how they affect their environment. This latest biography features ARMN Member Emily Ferguson, who graduated from our training class in Spring 2010. 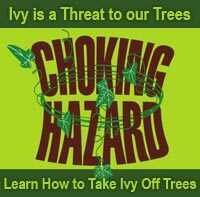 Many of our members already know her because she currently teaches tree identification as part of the Basic Training class. If you know someone else in ARMN with an interesting story and think others might be interested, please contact Bill Browning (browningwh@gmail.com) or Alison Sheahan (ab.sheahan@verizon.net). Besides teaching the basic tree ID section for the ARMN training class, I’m involved with stream monitoring at Lubber Run and Barcroft parks as well as the salamander patrols at Gulf Branch and Long Branch nature centers. I have a lot of fun with the patrols as I think vernal pools are really cool. I also have helped with tree inventories at Fort Meyer and at Columbia Gardens Cemetery on Route 50 (http://www.columbiagardenscemetery.org/). This year teaching the incoming ARMN class, I was surprised and honored to teach the Tree ID and Botany sections. I learn something from the students in the class every time I teach, which makes the experience even more rewarding. Emily explaining features of tree bark during March 19, 2018 Basic Training field trip. Photo courtesy of Oliver Torres. When I moved to Northern Virginia, I was starting a job with the EPA to work on the “superfund” program and I knew I would be stepping away from nature. I knew I needed another connection to nature. So, I went looking for something like ARMN and I was glad to find it. Walking around Arlington, the trees looked so different to me. They were all street trees or had been planted out of their natural environment. Rod Simmons, the Alexandria City Natural Resource Manager and Plant Ecologist, taught the tree ID section when I took the Basic Training and confirmed that the trees weren’t different or new. I needed to re-calibrate my eyes because the trees weren’t in the mountain habitats I knew. What do you like most about ARMN and what has surprised you? I like the number of activities you can get involved in. There are bird walks, seed cleanings, plant sales, and invasive pulls. I think what I like most is that people are very open to sharing their knowledge. ARMN is so broad. You can find a walk or lecture to learn or explore about almost any aspect of nature that you’re interested in. Emily leading tree ID field trip in Riverbend Park in January 2017. Photo courtesy of Toni Genberg. Tell us something about your experiences that shaped your perspective on nature? When I was 15 and attending high school in Bermuda, I dropped biology. Soon after that, my mother took a class to become a tour guide at the local botanical gardens. She taught me about pencil trees (Euphorbia tirucalli) and I challenged myself to identify them when we were driving around. Much to my parents’ horror, these trees were scattered around the island and I pointed them out on every drive we took around the island, which was probably really annoying. I even got my brother to play along. Since I graduated from the Bermuda High School at the age of sixteen, my parents decided to send me to boarding school in New Jersey for two years. There, I enrolled in ”baby bio” followed by Advanced Placement biology so that I could load up on biology before heading to college because I loved this tree stuff. For the first time, biology made sense and I helped classmates prep for tests. I attended Rhodes College (http://www.rhodes.edu/) in Memphis, TN where I earned a BS in biology. I also earned my master’s degree in biology (botany and trees) from the University of South Florida in Tampa (http://www.usf.edu/). My mentor and advisor for my thesis wrote the Guide to the Vascular Plants of Florida (http://florida.plantatlas.usf.edu/) and I used to pester him with my irritation at the way he characterized some of the plants. My parents were not outdoorsy. They sent me to a summer camp in Vermont each year for a month where I first saw the “white dark” (or fog) and hiked in a deciduous forest. I was captivated, but it was not all smooth. One summer my parents sent me to an expedition camp in Pennsylvania, we set out on a weeklong hiking and camping trip. I wanted to dump the 45-pound pack, ditch the other campers, and hitchhike to my uncle’s house in New Jersey where I knew he lived. I didn’t. I stuck it out and ended up having a great time. What would people find interesting about the non-ARMN parts of your life? My husband is an ultrarunner. When I started running with him, I learned if you can’t see the top of the hill you can walk up to prevent yourself from overdoing it and focus running the downhill and flat portions of the runs. This approach works great for me. The one thing I like more than running is looking at plants. So, when I run with him, I run downhill and look at plants on the uphill. I’m always walking off the sides of the trail to check out the plants or break off a piece to look at later, much to his surprise. I’m also my brother’s favorite snorkeling or diving partner. He wants to see the rays and sharks, while I like to drift along just looking at variety of color and beauty under the ocean. Recently, we swam with a manta ray, some white tipped reef sharks, a school of mobula rays, and a school of hammerhead sharks while on a trip through the Galapagos Islands. I always carry a hand lens. Recently, I set up my boom microscope and immediately had to run outside to grab some twigs. I brought them inside to check out under my scope and got lost looking at the delicate beauty of the bud scales and flowers. It’s Time to Plant Natives! With longer daylight hours, warming soils, and the return of birds and butterflies, we want to spend more time outdoors. It’s a perfect time to install beautiful native plants that also benefit the critters that depend on them. So, please consider a few—or several native plants to brighten your yard, patio or deck! Most commercial nurseries do not carry a lot of native plants. If you have a favorite place that has a weak selection, tell them that you’d love if they could stock more. But no matter; this is also the best time of year to visit a growing number of native plant sales in the area (many of which provide food, entertainment, and fun for kids, too). Here is information on several in Northern Virginia and one in District of Columbia. Happy shopping and planting! Features plants native to the Potomac River Gorge. U.S. National Arboretum: 3501 New York Ave. NE, Washington, DC Sale located in R Street parking lot at Arboretum. From April 4th through October is a low-key WEEKLY plant sale on the first Wednesday of each month at the propagation beds behind the main building at Green Springs Garden. Pick up plants on Friday, April 20, 9am-4pm, or Saturday, April 21, 9am-noon at Packard Center, 4022 Hummer Rd, Annandale, VA.
2 day sale, first 2 hours for members only. Includes some native plant vendors. The Church of St. Clement: 1701 N. Quaker Ln, Alexandria, VA Spring and fall sales. Pick up plants on 5/13 at Cherry Hill Park, 312 Park Ave, Falls Church, VA 22046 (behind the community center near the basketball court) between 11am and 1pm. Includes a native plant sale.